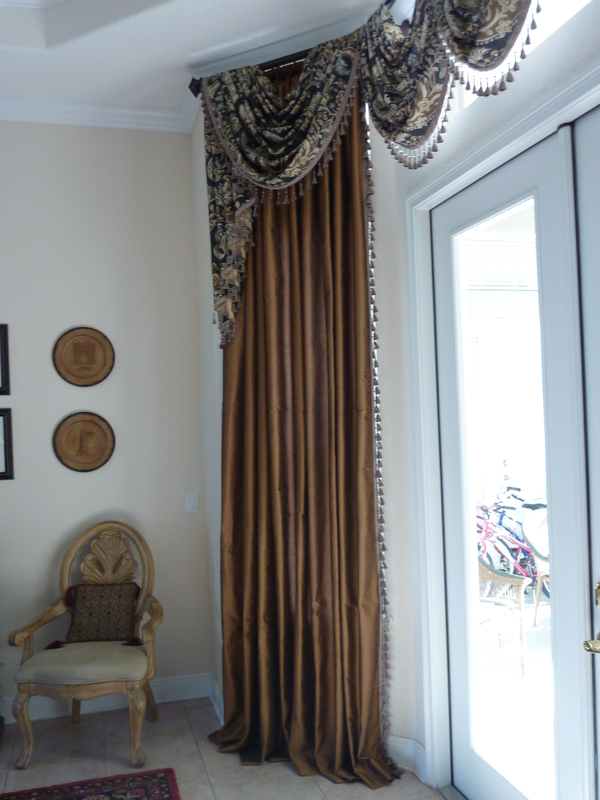 SHFbyJ Pin-fitting in client's home. 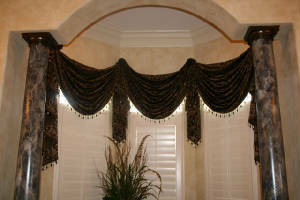 Outdoor fabrics offer durability and style. Wary of stiff, unyielding reupholstery? 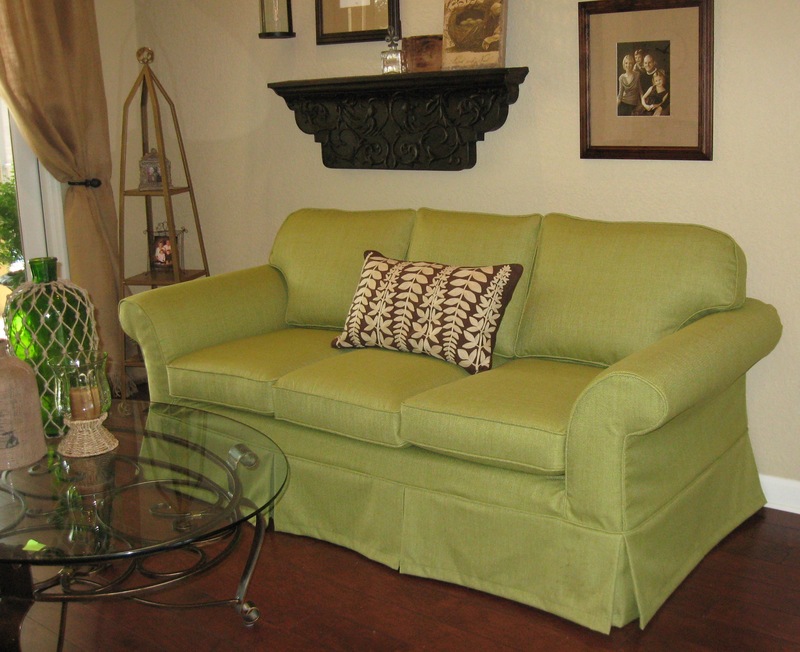 Just like your favorite old sweater, remain in your comfort zone; keep your comfy furniture. Jeanne's slipcovers are the answer. 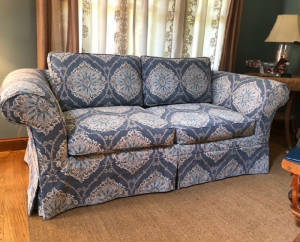 Why reupholster when slipcovers give you the look and feel of that perfect fit at an affordable price; with the added benefit of easy removal for cleaning. 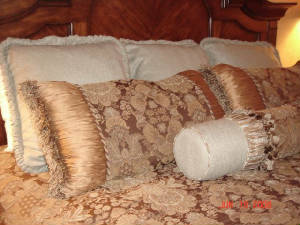 Slipcovers can transform your space, update your decor, give you a fresh new look for any season. 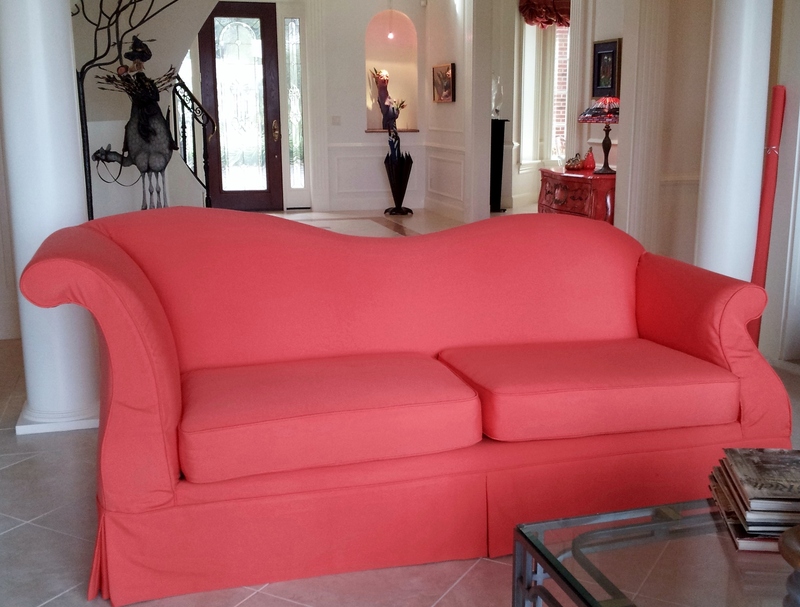 Jeanne's slipcovers fit your furniture like a glove. Customize your bedroom with duvets, shams, pillows and bed skirts. 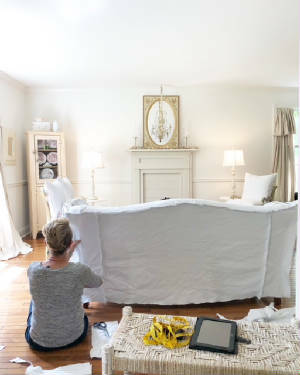 For those clients who know what they are looking for or who need a little assistance with the details, Jeanne makes decorating dreams come to fruition.